The intervention series “On the other side” is amongst others the embodiment of the reflected reality. 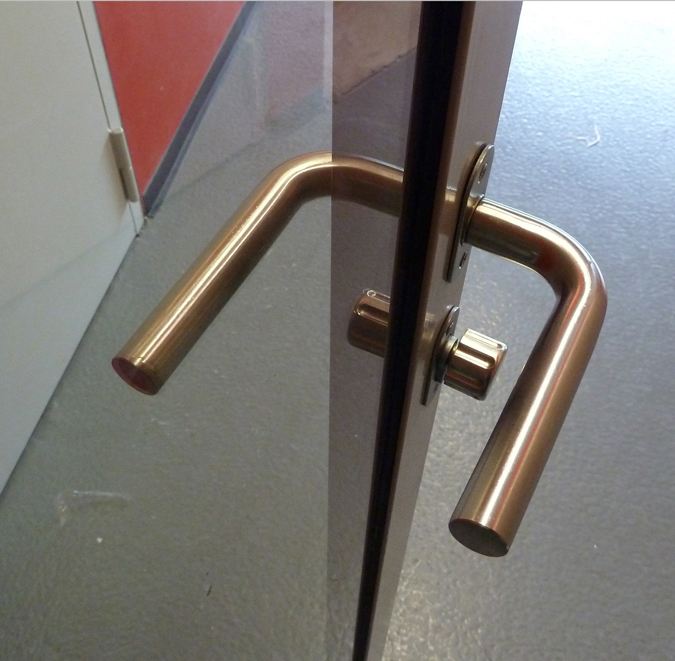 In the case of the door handle there is one of the same on the other side, but caused by the material thickness of the frame is the reflection not matching its body. 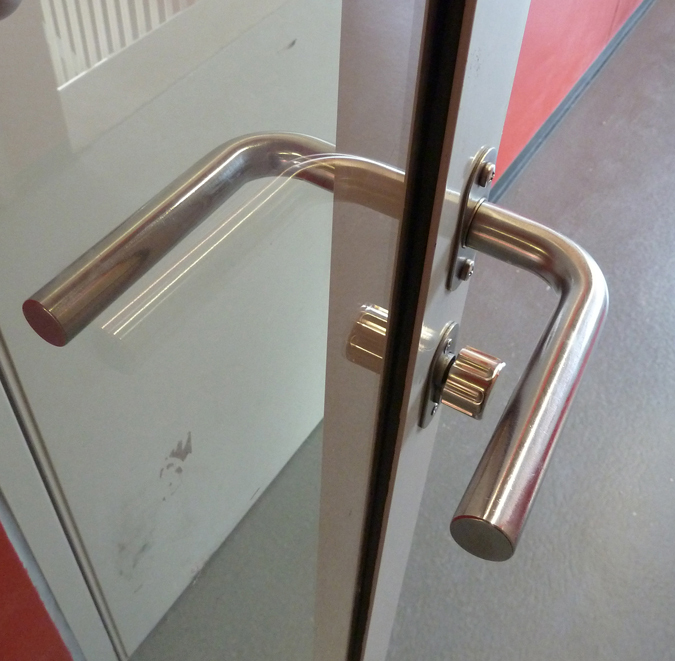 I correct that by shortening one of the handles so the reflection precisely overlaps with the actual door handle on the other side . Permanently installed.